Do you know what happens when an IPO gets oversubscribed? Every IPO that gets listed issues a specific number of shares and it is allocated to different investor categories. These categories include retail investors, qualified institutional buyers and non-institutional buyers. Initial Public Offerings (IPOs) have traditionally been crowd pullers among the investor community. 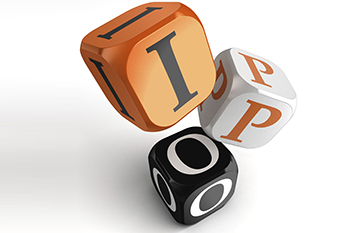 Every IPO that gets listed issues a specific number of shares and it is allocated to different investor categories. These categories include retail investors, qualified institutional buyers and non-institutional buyers. It is a common scenario during IPO launch where the stock gets over-subscribed. This scenario occurs when the number of applicants surpasses the number of allotted shares. In general scenario when a stock gets oversubscribed then the applicants gets fewer shares against the number of units they had applied for. If there is no oversubscription then the investors get complete allotment of shares. Merchant bank holds the authority to allot shares with regards to QIBs. Shares in any case are always allotted proportionately to applicants. So, if the shares are oversubscribed by 4 times, then an application of 10,00,000 shares will receive only 2,50,000 shares. The process of allocation differs when it comes to retail individual investors (RIIs). There is an upper limit of Rs 2 lakh for any retail investor who is investing in an IPO. With an aim to calculate the total demand for shares in the retail investors’ category, all the candidates are grouped together and the total number of candidates are calculated. While calculating, if the number of applications are more than the number of shares offered for retail investors, the maximum RIIs who are eligible for the allotment of the minimum bid lot are determined. The total number of equity shares available for allotment to RIIs is divided by the minimum bid lot. This gives the maximum number of RIIs who can be allotted the shares. For example - If shares worth Rs. 20 lakh need to be allotted to the retail segment and the minimum lot size is Rs. 10,000, only a maximum of 200 applicants will be allotted the shares with the minimum lot of Rs. 10,000. However, if the number retail investors surpass the maximum RII allottees, then the eligibility for the minimum bid lot will be ascertained on the basis of draw of lots. This is automated and computerised process, leaving no room for partiality. Non Institutional Investors are also categorised as High Net worth Individuals (HNIs). These types of investors usually pump in a large corpus in an IPO. Even financial institutions provide funding to HNIs to invest in an IPO. Although these investors invest a large amount of money in an IPO, it does not necessarily provide them with an advantage of availing the exact number of shares that they have applied for in case an oversubscription scenario. For example: A particular HNI client has applied for 10 lakh shares and the HNI quota is oversubscribed by 150 times. The total shares that will be allotted to him will be 6666. This number is ascertained by dividing the total number of shares applied for by the number of times that it has been oversubscribed.